I have always enjoyed the work of Magnum photographer Elliott Erwitt, who seemed to always be able to incorporate a dog into one his photos. He wasn’t exactly a dog photographer, but dogs were definitely one of his preferred muses and probably his strongest area of work. As a pet photographer, I really should have been aware of more dog photographers, but Erwitt was always the one that sprang to mind. Until recently he was probably the only famous dog photographer I could name off the top of my head. That was until I was introduced to the work of William Wegman, a New York based photographer who’s work usually features a now familiar looking Weimaraner. 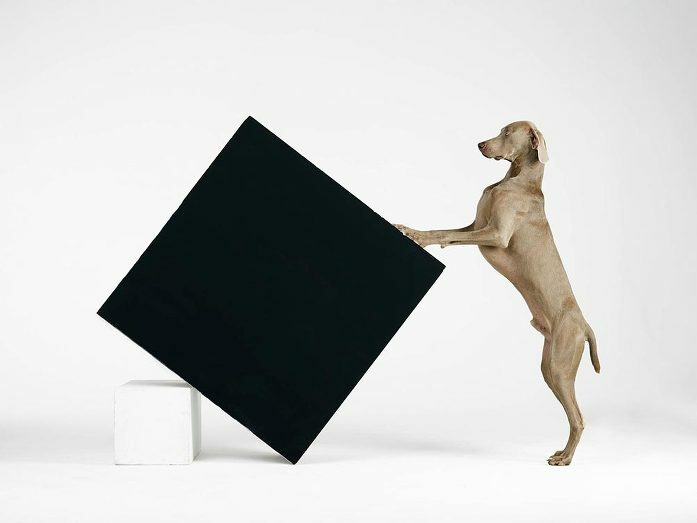 Wegman’s work is studio based and usually features a Weimaraner posed in action with a large object or piece of furniture, or dressed in some human clothing such as a trilby hat or overcoat. While very posed and meticulously planned, his works are always captivating and often have an element of humour to them, whether it’s from the dogs expressions or through the absurd choice of clothing. Absurd probably isn’t the right word to use since many of the dogs seem to actually suit the clothes they are wearing! Or maybe the clothes suit them?! Melbourne dog lovers will be able to enjoy William Wegman’s work up close when his Being Human exhibition arrives at the NGV, Melbourne in December 2018. The exhibition will be on show until March 2019 and open between 10am – 5pm daily. We look forward to seeing all the other Melbourne pet photographers and dog lovers there! I was delighted to enjoy a morning stroll with Coco the Staffy and her humans last month. Not one for sitting still, we covered alot of ground from Gasworks Park through to Port Melbourne beach! Some of us even managed a short swim too. 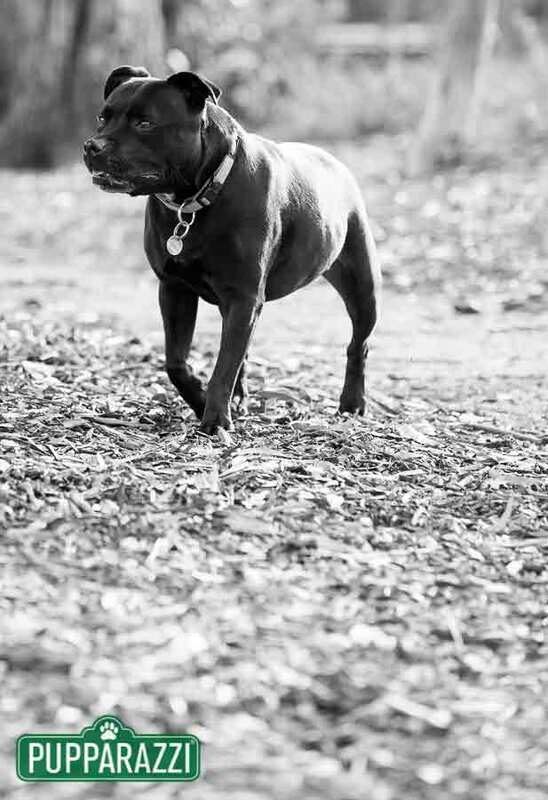 Have you got a Staffy you’d like photographed? Get in touch for the best value pet photography service in Melbourne from just $99. Autumn is a great time of year for taking photos of your pets, with the cooler temperatures ensuring they’re not panting like maniacs due to the heat, as well as the beautiful light we’re blessed with in Melbourne during that time. The sun hangs low in the sky and mid to late afternoons are just glorious to photograph dogs in. I met Labradors Jesse & Millie for a few photos at Gasworks Park before we moved onto the beach at Port Melbourne to catch the last of the sunlight. The only downside in Autumn is that the light goes pretty quickly – I could have kept shooting for another half hour! Although, check out the last couple of photos – I think somebody was ready for the sun to set on pet photography session! I was tidying some old shoots to place in the archive for safe keeping and came across this session with Harley the Staffy. It was at least 3 years ago that we paid Harley and his owner Emily a visit at their home in Kew. I have photographed many dogs since then but I still remember him very well as he has such a beautiful temperament! He certainly left an impression on me. 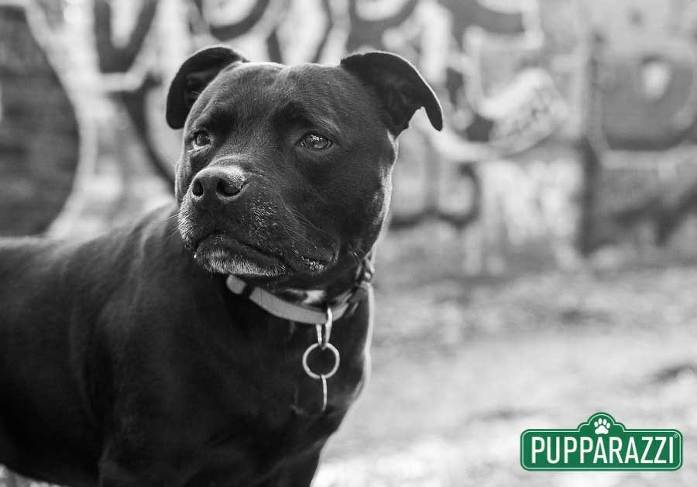 Have you got a Staffie you would like to book in for a pet photography session? Enquire Now! T’was lovey to meet Gretel the Miniature Long Haired Dachshund just before Christmas. She’s a bundle of energy and charged around the park for most our pet photography session. I was going to comment that she has probably grown alot since I met her, but considering her breed she probably hasn’t! Gretel even has her own Instagram account if you’d like to follow her adventures. While you’re there, follow the Pupparazzi too!